If you own a business website, then maintaining it in order to keep it optimized should be your top priority. Without proper upkeep and maintenance, you would not only lose your site’s traffic and ranking but it would also affect your site’s credibility. Thus, to ensure that your site doesn’t lose its former glory, make sure that you look into your site’s maintenance from time-to-time. Moreover, while maintaining your site is a time-consuming task, it is nevertheless an important one. Hence, you can either delegate this task to an agency who’ll take care of your site’s overall maintenance. Or, if you are a small business and don’t have the means to hire an agency at the moment, then fret not, as we have just the right resource for you. 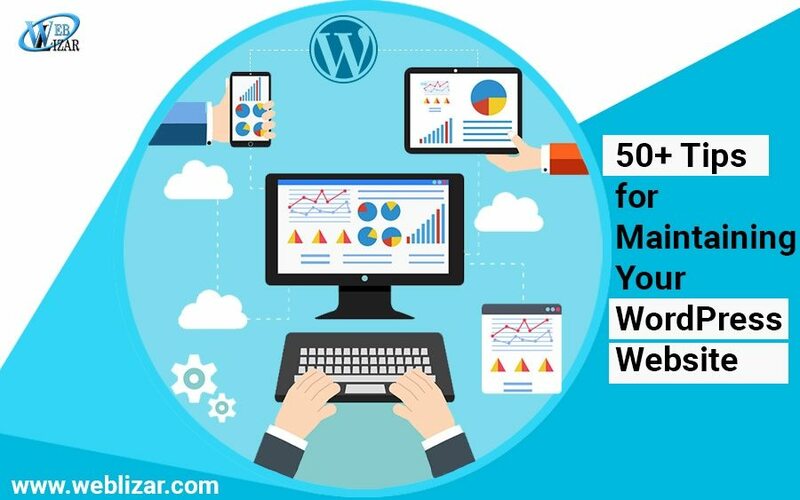 Known as the ultimate website maintenance guide, this guide comprises of top 50+ useful tips that will help you to optimize and maintain your WordPress website. This guide has encompassed all the important website maintenance tasks in an infographic, which you can download for free and keep it for your reference. 2. Regular monitoring of website security. 3. Updating content, plugins, widgets, themes and more. 4. Checking on your site’s web hosting resources. 5. Monitoring your site’s on-page SEO factors. 6. Optimizing your site’s images and database. 7. Daily monitoring of your site’s page speed and download time. 8. Frequently checking affiliate links, download links and other links that are present on your website. The below infographic will provide you with more such website maintenance tasks along with solutions on how to fix common issues. Therefore, check out this infographic right away to know all the nitty-gritty of maintaining a WordPress website. Hope you have enjoyed this amazing infographic. Please do care to check out these interesting infographic posts from weblizar.